hey LL fans!! i'm so excited to be a guest blogger for the summer essentials series! i met kristen at texas a&m and knew instantly we would be great friends. i was right... kristen has been such a dear friend to me and i'm so thankful for her. it has been so much fun to watch her become such an amazing wife and mom! then of course if you know kristen you eventually know allison. i definitely had a secret girl crush on her (and her perfect hair) way before i met her... and still do! she is so much fun and always so sweet! these girls definitely make a great team... that's why everyone loves LL so much! to be perfectly honest i have never been a sunscreen girl. i know it's horrible and i will probably pay for those bad decisions one day but i'm all about instant gratification and sunscreen just seemed to delay the tanning process to much. but everything changes when it comes to that sweet baby skin. and after a lesson on the difference between sunscreen and sunblock from my doctor i knew exactly what to get. he recommended neutrogena pure & free baby sunblock. it doesn't have any artificial fragrances or ingredients and is mainly zinc oxide which is great protection from the sun. 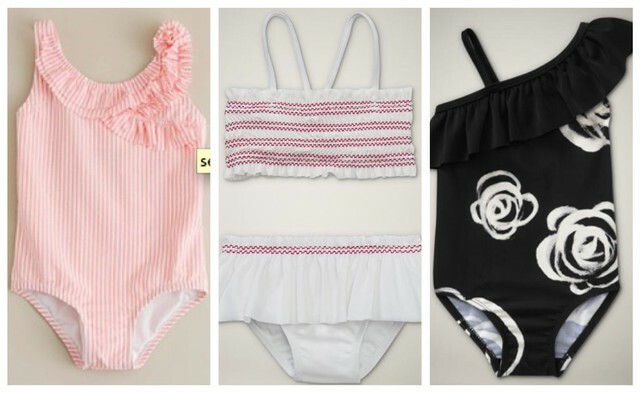 every baby needs a cute swimmie for the summer! there are so many great options out there and these are just a few. 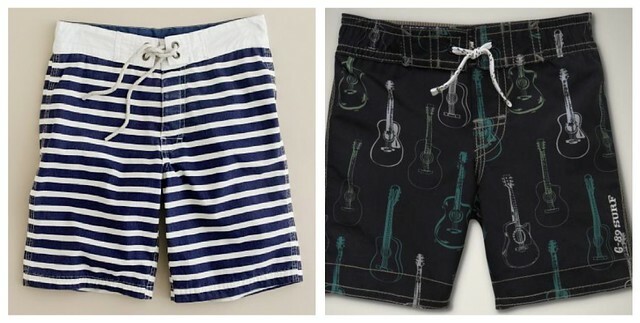 the first one is from crew cuts and the other two are from baby gap. and here are some cute boy options. the first from crew cuts and the second from baby gap. you can't go swimming without a swim diaper! you can get disposable ones but they don't make them for babies smaller than 16 pounds so we have a reusable iplay swim diaper. they come in cute colors with ruffles and everything! of course you have to protect that sweet face from the sun! there are so many cute sun hats out there... especially for little girls! the girls hat's are from target and the little boy hat is from baby gap. every baby needs a pool float. i especially love the ones that have a little canopy over them. these were all from target. this thing is awesome! you may have already seen this post on LL but it definitely had to be included in the summer essentials. it's so nice to be able to put isla down and she can play and look around and be right in the middle of all the action. it's not only great for the pool but i use it in the house all the time. it's so light weight and easy to clean... a definite must have even if it isn't summer! i ordered mine from amazon in pistachio (because i love all things grey). i couldn't resist using this cute picture of mckenna! every summer i must have a new pair of sandals that pretty much get worn every day all summer long! and i always find so many great options at urban outfitters. cute sunglasses are a must for the summer! this summer i am loving the new toms sunglasses! they have 3 different styles for women but i love the classic 301. they are like aviators with a twist... so fun! every girl loves a manicure and pedicure! so treat yourself this summer. OPI has some great new colors that are all part of the TEXAS collection. they have cute names like "do you think i'm tex-y?" and "too hot pink to hold em". no summer is complete in texas without a cool, fresh margarita!! 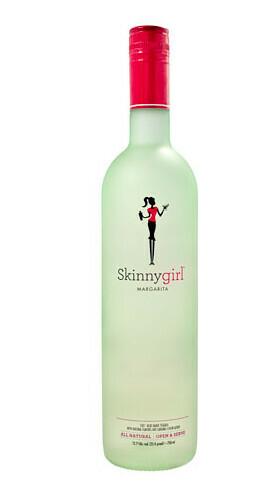 you can't go wrong with the skinny girl margarita... only 100 calories a serving and it's delicious!! i won't lie i love bethenny frankel and all her madness... and her low-cal marg that is ready to go (just pour over ice and drink) is the perfect summer beverage! 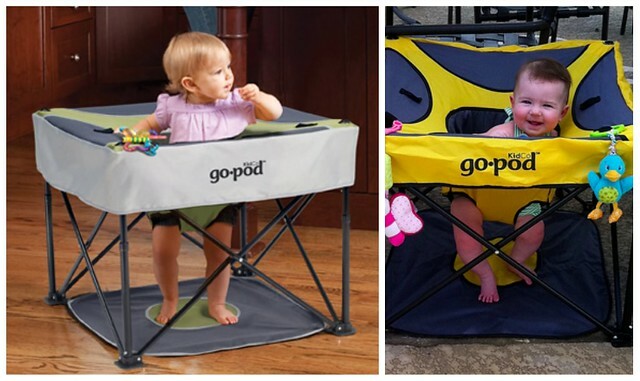 there you have it... my favorite summer essentials for mom and baby! hope you enjoyed and come visit us at baker bliss! Hi! Great post! I just wanted to let you know that the sunscreen you have posted (What I used to use on my babies also) is a pretty dangerous (chemical wise) sunscreen! Where the mom does a great job explaining the harmful effects of some sunscreens! She even has a link to a page where you can see the different types of sunscreen and their ratings. The Neutrogena Babe pure & free has a 7 rating ( 1 being the lowest!) 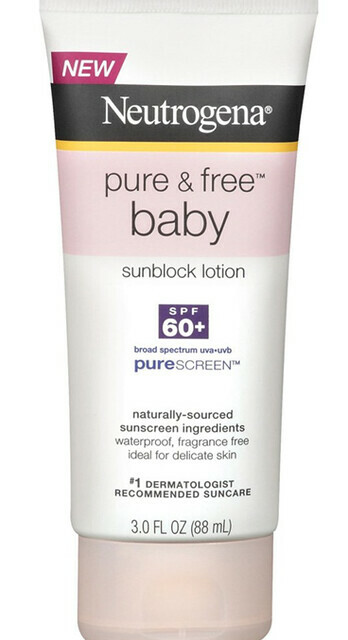 Just thought I'd share, after reading about it I got rid of all of our sun screen- bought new and have been trying to tell as many mom's as I can about it!